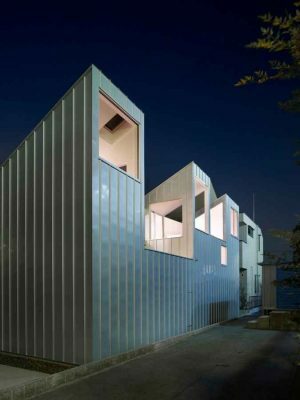 The Complex House was described as a serious and modest design but the jury also liked it for its playfulness with light and space and the site itself. It proved to be very popular with the judges, each of them admiring its beauty, balance and intelligence. They were delighted to award it the WAN House of the Year 2012 Award. The WAN House of the Year Award celebrates the best in international architecture for single-family houses. Jurors for this award come from an array of highly respected establishments across a range of fields. The jury included: Sarah Wigglesworth, Director of Sarah Wigglesworth Architects, David Levitt, Chairman of the Housing Group of the RIBA, Philip Marsh, Director at DRMM and remote judge Tom Kundig, Director at Olson Kundig Architects. 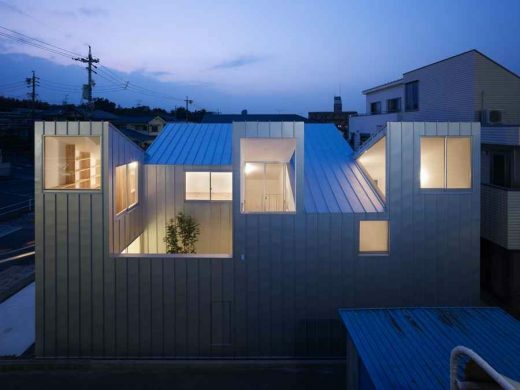 The completed house in Nagoya has five roofs that pitch in opposing directions. 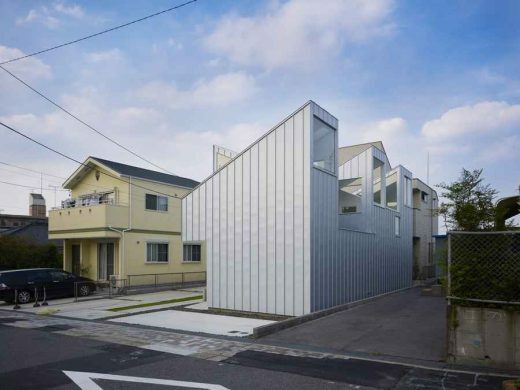 This alternating arrangement creates a series of triangular windows on the first floor of the two-storey residence. The exterior is clad with metal sheets in standing seam fashion, a technique characterised by slightly overlapped parallel strips. There is an enclosed courtyard and the rooms on the ground floor ‘melt’ together or overlap each other and are integrated within the communal family space. 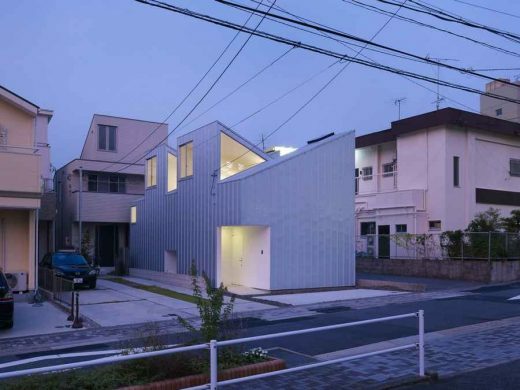 The resulting home is a sensitive house that takes the interaction of the family into consideration. It balances the need for a family to be together but also respects and allows for individual personalities and their desire for private spaces. This sensitive, beautiful and serious piece of architecture was greatly admired by all the judges and was selected as winner beating an admirable shortlist that included the Stone House in Luberon Valley, France by Carl Fredrik Svenstedt Architect. The Stone house was also greatly admired and was awarded a „highly commended‟ title in recognition of the strength of the entry.